For all Firemagic grills. Perfect for those who enjoy the added "wood-smoked" flavor of hickory, mesquite, pecan, or other wood. 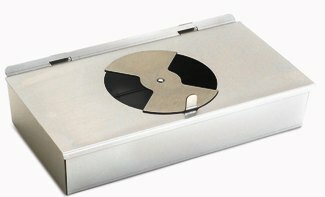 The Stainless Steel Firemagic smoker box makes smoking easy. Adjustable vents alow you to control the amount of smoke flavor to provide just the right taste.